When I was a child, my dad would take my brother, Kevin, and me skating on our frozen lake in the winter. There was something freeing about gliding on the ice and breathing in the fresh, cold, winter air. Something that put a little pep in my step. Something that made me feel alive. Something...that made all eighty five layers of thermal underwear, stocking caps and gloves totally worth wearing. As I recall that experience, I am reminded of the endearing scene from Bambi in which Thumper tries to teach a wobbly Bambi to ice skate. Bambi struggles to stand on the ice, but his long, thin legs just don't offer the same support of Thumper's larger, padded feet. Foundation is everything and Thumper's firmer foundation allowed him to glide confidently and gracefully across the frozen pond. 1). 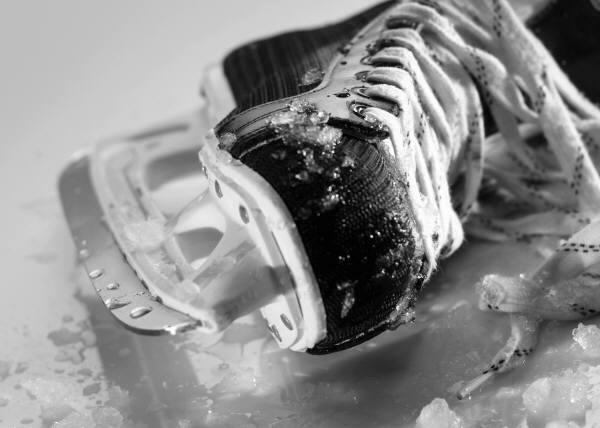 Proper safety gear – Wearing the right boots and blades is essential for skaters to flourish on the ice. As Christians, we too need the right gear to thrive. Scripture says we need to put on the full armor of God (Ephesians 6:13-17). 3.) Keep your eyes forward and let go - Skaters are taught to look in the direction they are skating. If they pay too much attention to their feet, they will fall. They are also instructed not to hold onto anything that may become a crutch. Hebrews 12:1-2 provides similar instruction in our walk with Christ – telling us to remove any weight that might slow us down and to press on toward our heavenly prize by keeping our eyes on Christ. “Don’t pray when you feel like it. Have an appointment with the Lord and keep it. Sometimes the roads in life get slickery, and as I’m learning to skate, I am so thankful for a Heavenly Father who scoops me up each time I fall. Most gracious Lord, thank You for the foundation You provide. Foundation is everything Lord, and I am so grateful You steady our walk and lift us when we fall. Father, I pray we learn to let go of the things that hold us back and continually keep our eyes focused on You – pressing onward and moving ahead to the heavenly prize You have promised.